Google has recently made some drastic changes to their ads program—starting with a name change, from Google AdWords to Google Ads. Some of the changes are technical, like tweaks to the interface. Others represent fundamental shifts in the way Google views advertising. These will affect more than just your Google advertising efforts, but also how you approach other marketing tactics, SEO, and content. Google is the dominant force in online advertising, so you can’t afford to ignore what they’re doing. Here, I’ll walk you through the most important changes and new features that small business owners need to be aware of. The biggest change is that we have known the primary Google ad tool as AdWords. Now, they’ve dropped Words, and it is just Google Ads. This is more than just a technicality, I think it signals a fundamental shift in the way they’re viewing advertising. When Google originally launched their ad product, advertising was all about keywords, but times have changed. Google is so much more than just a search engine at this point, and the change in name reflects their omnipresence on the web. The new name indicates a move towards a more comprehensive approach, one that will incorporate machine learning and behavioral tracking to better understand the true intent behind people’s actions online. One of the other significant changes small business marketers will see is that there is now an application you can download to your desktop: AdWords Editor. Similar to the Facebook editor, the idea here is that you can now download your campaigns, work on them offline, and then upload them again. This means that you’re not stuck sitting on the platform the entire time, and can now get more work done if you’re offline and on the move. If you’re not already familiar with Google Sheets, it’s essentially a free, online version of Microsoft Excel. The integration with the new ads program allows you to pull reporting from Google Ads and into Google Sheets. Doing so allows you greater flexibility in parsing the data. You can filter by your own criteria, create reports, and track data more easily. This will be particularly useful for agencies or consultants who need to create reports for multiple clients. With their new advertising program, Google is providing additional support to small business advertisers, allowing those who don’t have the time or energy to create their own campaigns to leave that all in Google’s hands. The skeptic in me feels that there is a tradeoff between convenience and value. They make it very easy for you to give them a budget and they’ll do the legwork, but you’re also handing over control and the appropriate measures to monitor and adjust how that money is spent. Without visibility into what’s actually being done to market your business, how can you understand how to get better results in the future? Local Ads: Google allows you to create one campaign that will propagate against search, maps, places, pages, display, and even YouTube. This means you only have to design one campaign to be used across all of their many platforms, while Google makes the decisions about how to best tailor the approach in each place. 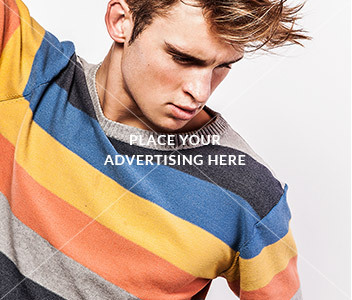 Lead Ads: A new unit on YouTube, Lead Ads allows you to collect an email address through an ad message. This is similar to Facebook’s Lead Ads, which have been around for a while. Responsive Search Ads: You create a pool of headlines and descriptions, and Google tests each of those possible combinations to determine which is most successful. Depending on how many concepts you create, you can end up with thousands of possible combinations—it’s A/B testing in hyperdrive. This is designed to help you lift click-through and conversion rates significantly. While these new campaigns are great for those who are taking advantage of the Google Ads platform, what about those marketers or small business owners who are putting all of their faith in the power of organic search? These new ads will drive up conversion rates, as Google continues to do the analytics on what makes the most successful campaigns for its paid advertisers. In addition to being successful, these ads are also huge. They still contain extensions, and so they are going to take over. This will only serve to force organic results further and further down the page. Those users searching on a mobile device will have to scroll for a very long time before hitting the first organic result. The message here for small business marketers is that you can’t ignore Google Ads. You still need to have a comprehensive marketing system with other tactics, including social media and content, as a means to get into organic search. But at the same time, you can’t ignore paid advertising. The last item, which does not impact everyone yet, is Local Services Ads from Google. Formerly known as Home Service Ads, Local Services Ads are currently focused on tradespeople, technicians, and providers of other services to homeowners, with plans to expand to additional categories. Business owners must apply to be in this program and become “Google Guaranteed,” which means that they’ll have to clear a background check and Google will provide a money-back guarantee to anyone unhappy with the company’s services. This comes at a price: Google does not send users directly to a website when they click on this type of ad. 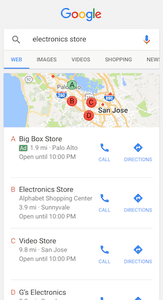 Google uses a tracking phone number so that they’re able to see which leads are generated from these ads; the business owner is then charged for those leads. And rather than charging a nominal fee per click, Google will now ask for $25-$100 per lead, depending on category and competition, because they’ve delivered a verifiable lead. This new approach allows Google to be fully involved in the lead generation process, which gives them valuable information about the way people are searching for services and also allows them to charge small business owners a greater fee than they would for pay-per-click advertising. As we see advertising moving more towards a focus on intent, a shift that is powered by machine learning and artificial intelligence, we will see Google Ads encroach more and more in the search space. 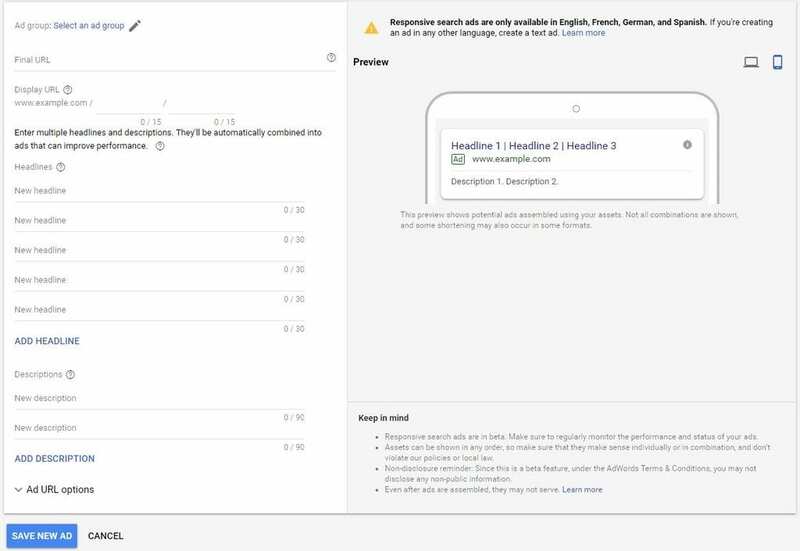 Google has created a system that encourages you to give them more of your ad budget, and while you certainly can’t ignore Google Ads as a part of your overall strategy, I would argue that there’s still great benefit in attending to your other marketing channels. If you are struggling with managing the rapidly-changing online advertising landscape, Duct Tape Marketing can do an audit for you. Our Total Online Presence Audit is a comprehensive review of your assets online, including your ads. We can assess your strengths and weaknesses, and point you in the right direction.